It’s A Kindle Kind Of Christmas! 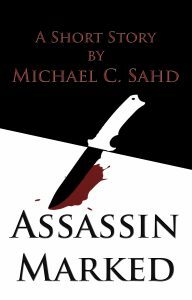 Today through Christmas, the Kindle edition of “Assassin Marked” is free on Amazon. My wife started the Amazon promotion this morning and by lunch, 11 copies had been purchased. Add it to your to-read list for some fun reading material to entertain you during your time off this Christmas. Feel free to leave a review, and be sure to let me know what you think! Not all of you may know this, but I have a manager. My wife not only edits my work, but she has also been marketing for me like a beast. Hence, we have scheduled a book signing at our public library — the Brownwood Public Library, located at 600 Carnegie St. in Brownwood, TX to be precise. I plan to be there from 9 a.m. to 1 p.m. on the 18th of November, and you can bring a book to be signed. If you don’t have a book yet, there will be plenty there for sale that I will also sign. When I first discussed the book signing with the library, we had planned for the 11th of November; but alas, today we received an email stating that the library director had just learned that the library will be closed that day due to Veteran’s Day. Of course, my wife had already advertised for the 11th on several websites. Rather humorous. 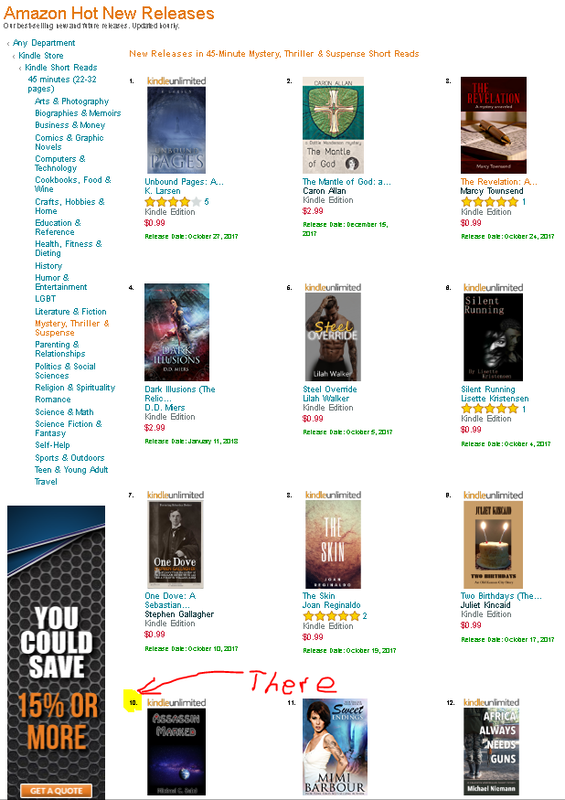 At this time, “Assassin Marked” is #10 on the Amazon Hot New Releases list in the 45-Minute Mystery, Thriller & Suspense Short Reads category. Future book signing events are planned, and, if you are unable to make it to these book signing, you can also purchase a signed book from the Signed Bookstore on Authors Den. 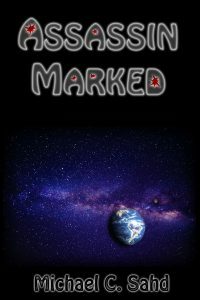 If you haven’t read “Assassin Marked” yet, you’re missing out. Check it out on Amazon. There, you can buy the paperback or ebook version. If you have Kindle Unlimited, you can read it for free.